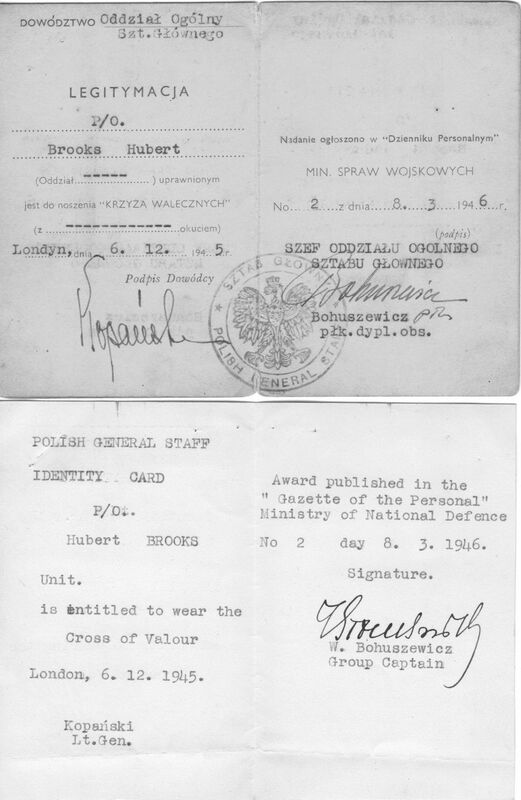 "Brooks was awarded the POLISH CROSS of VALOUR by Major BOROWY for gallantry in the Field, as well as the POLISH SILVER CROSS OF MERIT WITH SWORDS and he holds a certificate to that effect. 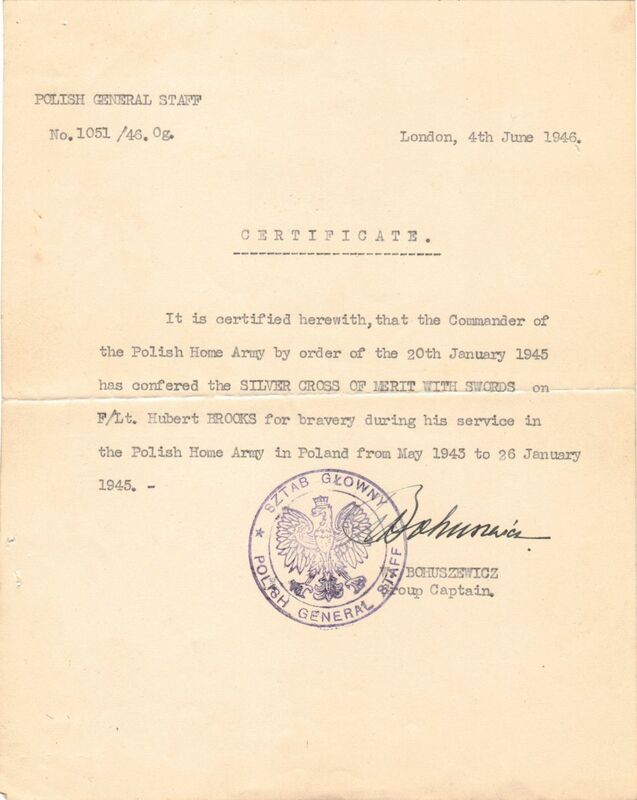 Free Poland was grateful for his service and the Polish government in exile (London) confirmed the awards. " 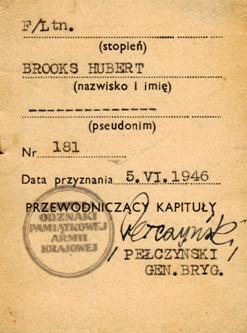 "Brooks speaks quite good Polish and is evidently a resourceful, courageous and security minded person. 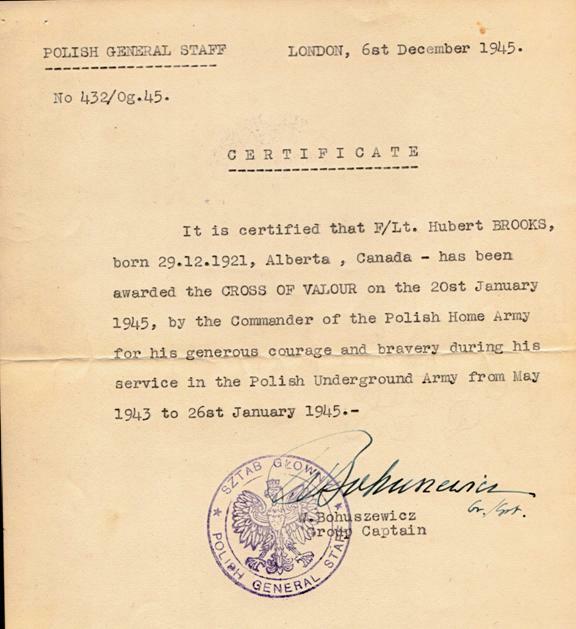 His cover story to the Russians, as reported in the News Chronicle of 22nd March, was that he had escaped from a German prison camp three days before being over-run by Russians." 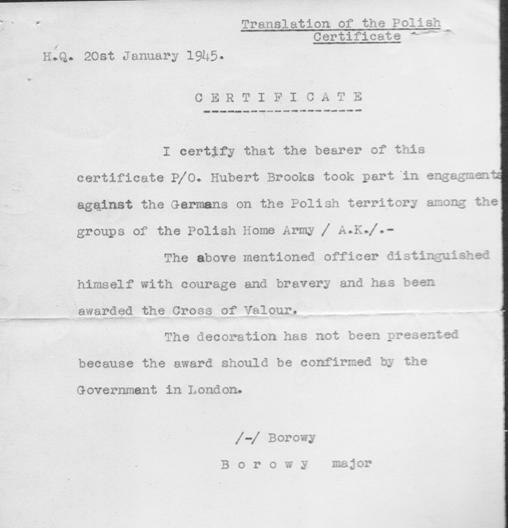 Awarded for outstanding acts of Military Valour. 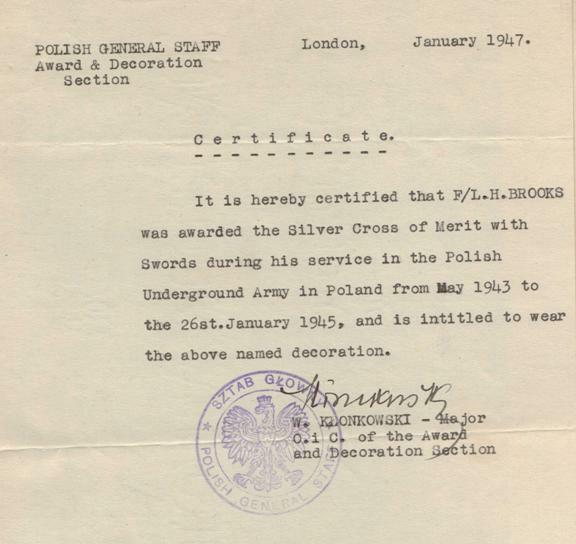 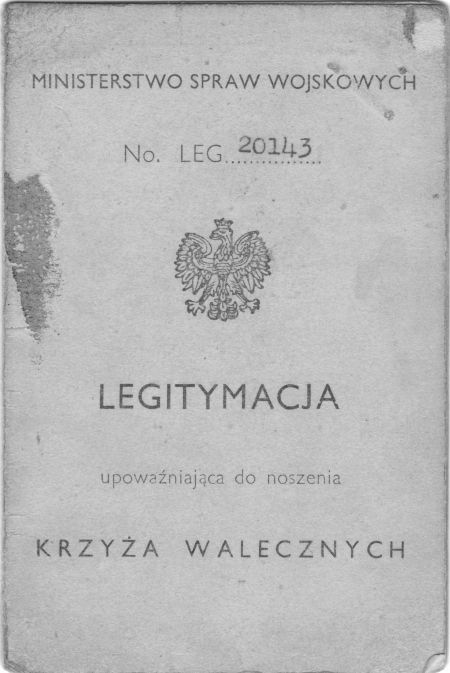 The original Polish Certificate is followed below by an English translation of the original and then by a certified English certificate ( who's point will become clear in the next section). 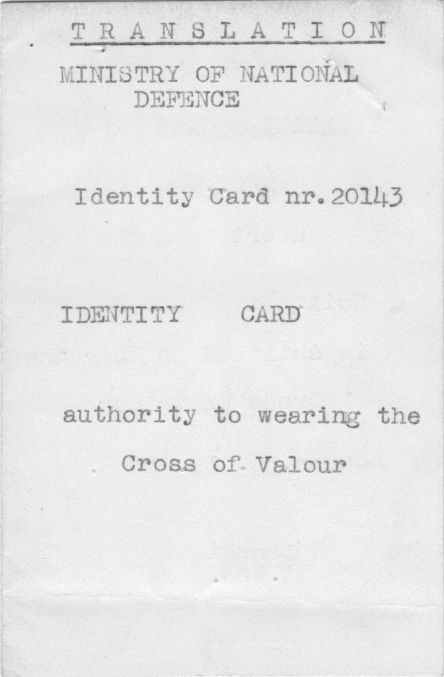 A Cross of Valour Identity Card follows. 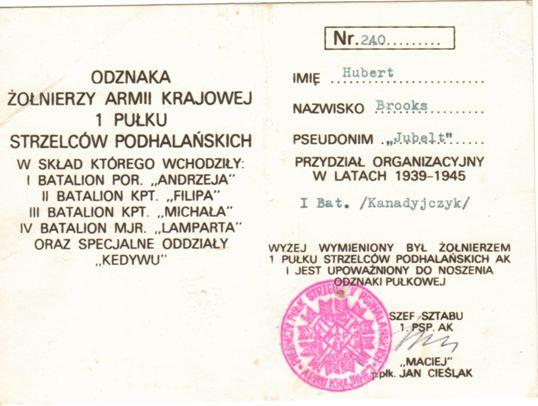 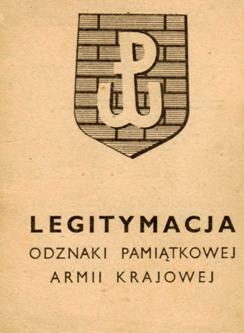 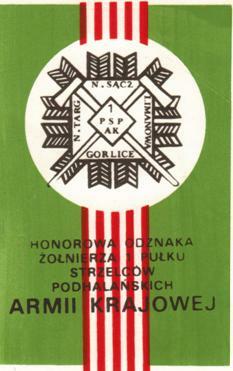 Awarded to Civilians, Foreigners and Military personnel, for outstanding service to Poland, for acts of bravery, philanthropy and various other meritorious acts.